Madeleine Grimm, 8, races around the barrels with her stick horse during the Rodeo 101 event on Tuesday at the Greeley Stampede in Island Grove Regional Park. The event shows kids the basics of rodeo. Rodeo 101 will be at 6 p.m. Wednesday and Thursday at the Greeley Stampede’s Kids Korral, located on the south side of Island Grove Park. On the weekends, the class will be taught at 1 p.m., 3 p.m. and 5 p.m.
Madeleine Grimm gazed off in the distance in hopes of catching her aunt’s eye, with a smile stretching ear to ear, because she finally did it. 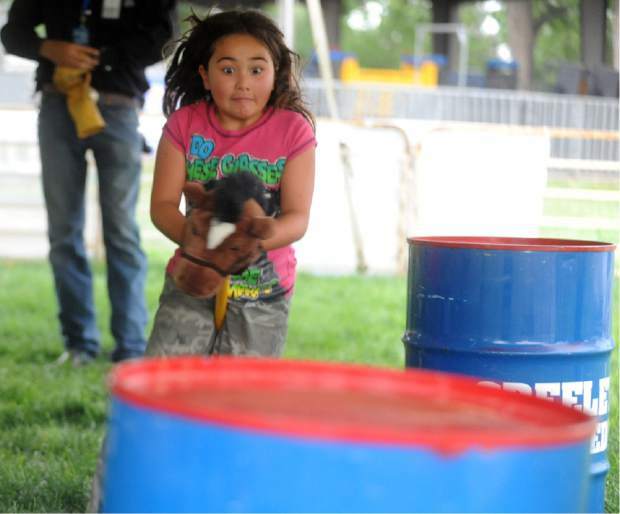 The 8-year-old looped her lasso around the horns of the mimic bull at the Greeley Stampede’s Rodeo 101 class, and it was her first time doing so. Rodeo 101 is a part of this year’s Kids Korral activities, and its main purpose is to teach children of all ages the sport of rodeo. Students even have the chance to give a few basic rodeo activities a shot, such as riding their stick horses around barrels or learning how to throw a lasso. Grimm was one of the few children who showed up to the class taught by Zachary Sprague June 28, despite the slight drizzle of rain. 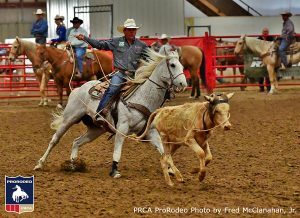 Sprague is a member of the club rodeo team at Colorado State University and he volunteers for many features at the Stampede. For the past two nights, Rodeo 101 was his classroom, and his words of encouragement allowed children who weren’t familiar with rodeo still have a good time. And Grimm was thankful he was teaching. Originally from San Diego, Calif., Grimm was in town with her sister visiting her aunt, Arisa Rice of Keenesburg. 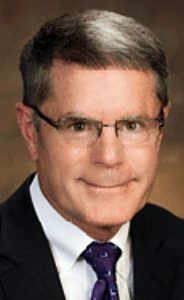 “We wanted to get them out and show them things they might not have experienced before,” Rice said. Grimm also said she had never done anything “country” before, but she loved every moment of her experience. After her many attempts to get it right, throwing the lasso became her favorite activity of the night. “If I could do it more, I would,” she said with a smile.